Hand washing dishes has never been easier! 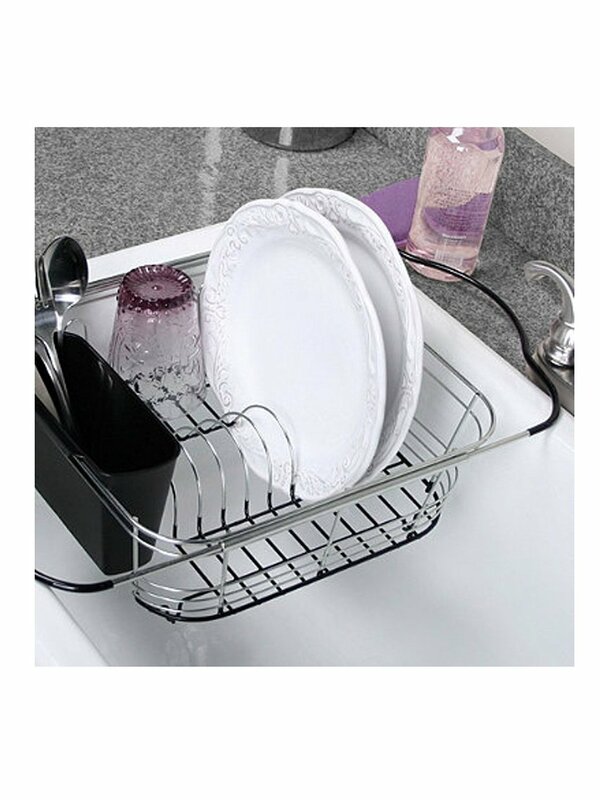 With this extendable drying rack, you can save space on your kitchen counter tops by fitting it right in your kitchen sink. Fits perfect in your RV sink! 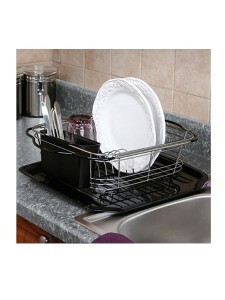 Whether at home or on the road, this unit will greatly aid in keeping your kitchen organized and drip free! Small dish rack expands for use on the counter, in the sink or over the sink. The unit (not expanded) measures 13″ L x 16.75″ W x 5″ H and fits a small sink. 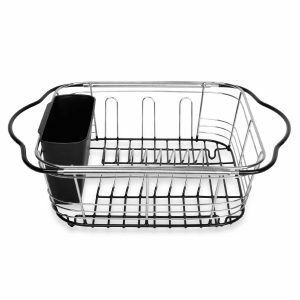 It expands from 16.75″ to 23″ wide to make it handy to place over a larger sink. 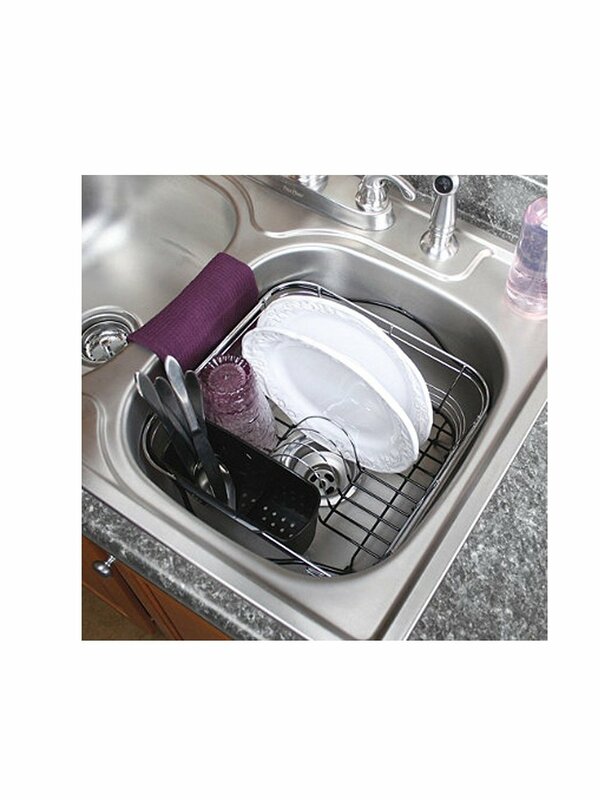 Black protective coating over chrome prevents scratching the counter or sink. 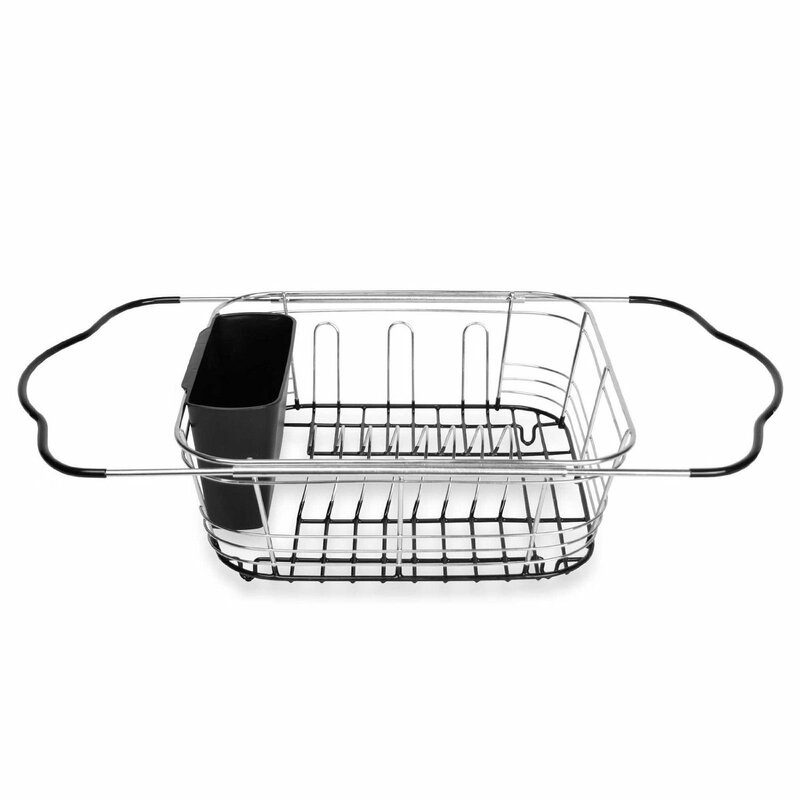 Compact unit holds up to 8 plates and includes a black plastic utensil holder.